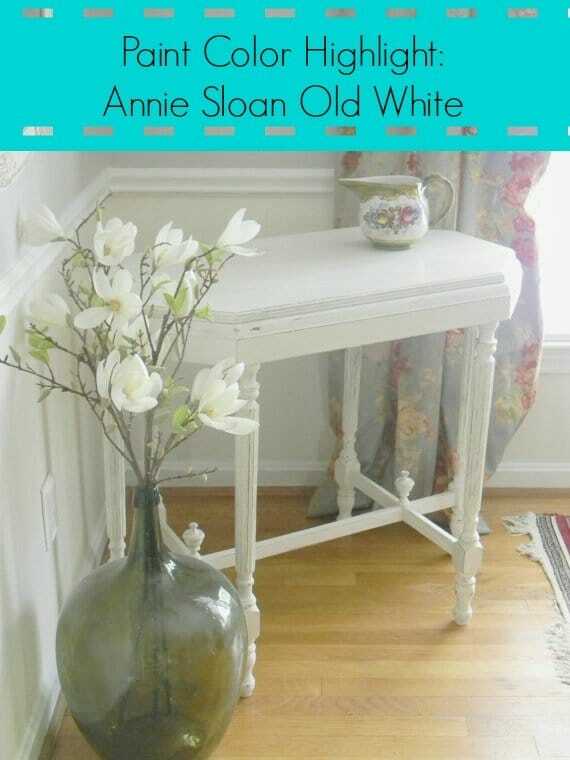 Annie Sloan Old White is a fantastic soft white. 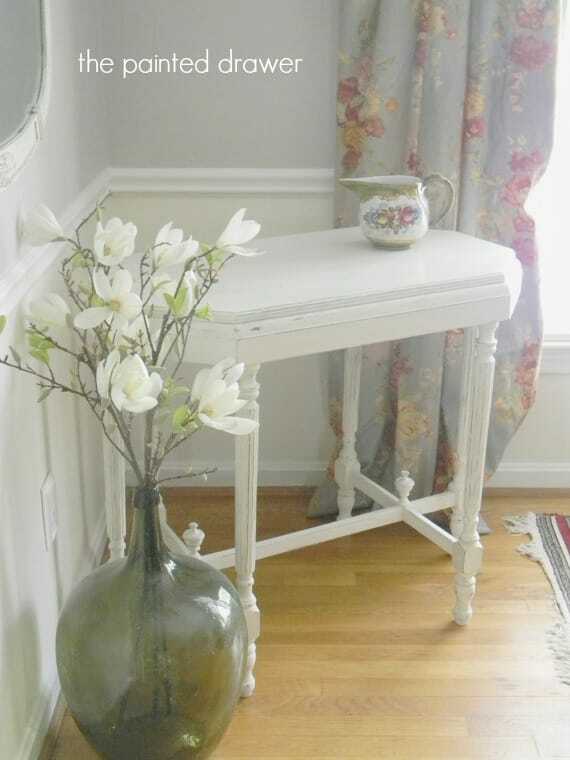 By itself it can give a soft shabby chic look. It can create that great Washed Wood Finish. 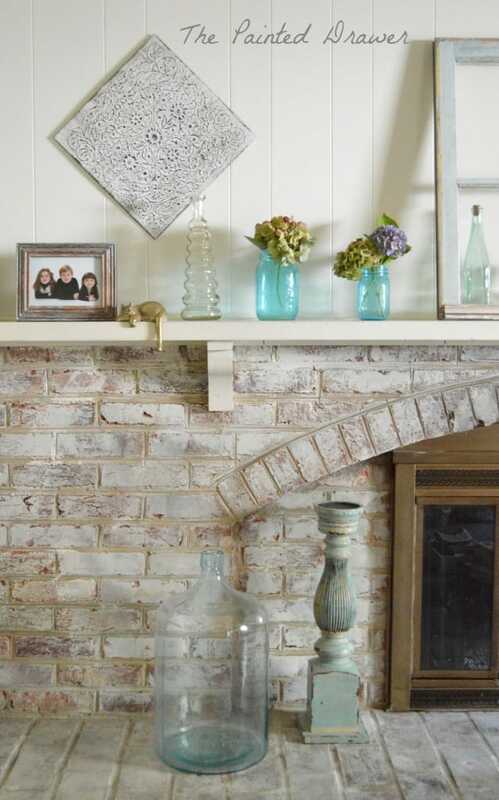 Or, Whitewash Brick with it! With dark wax, it becomes aged and old. As a highlight, it really pops! 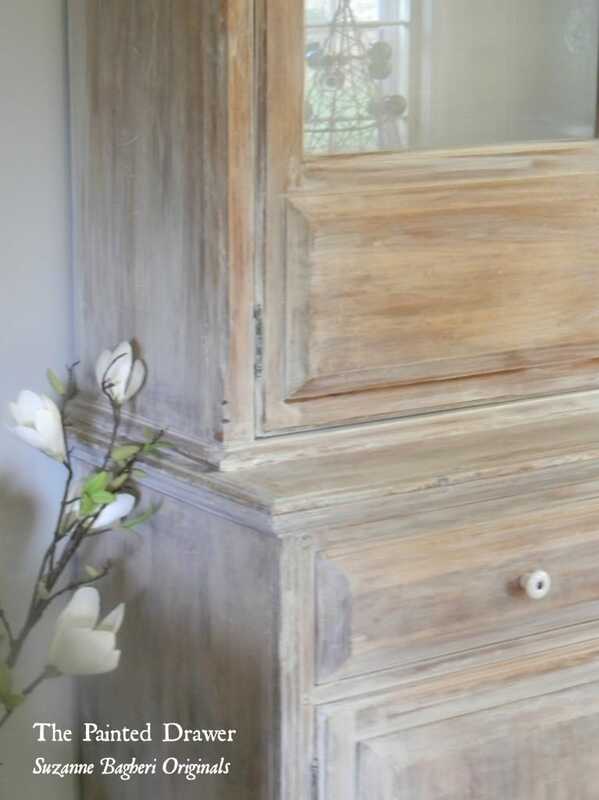 Annie Sloan Old White – perfection! Hi – just a question – in some of the pics it looks very yellow. I love a beautiful old white but not if it’s yellowed. Could you say if it’s yellow or not, please? Many thanks – I love your work! Hi Winnie, no it is not yellow. AS Cream is yellow but not Old White. Maybe the dark wax gave it a yellowish hue in the pic? Awesome, yet again. Suzanne, are you the gal whose going to paint her rice poster bed? I asked this on another one of your beautiful posts. I have one I want to paint but would love to see yours first if you’re the one painting. I love ALL the things you do. Copying is the greatest form of flattery (with “credit”, of course). Blessings. I am really enjoying all your recent video tutorials they help me a lot. When I just read it I often over think it making it harder than it really is. When I see the videos – there it is – just that simple to do as you said! 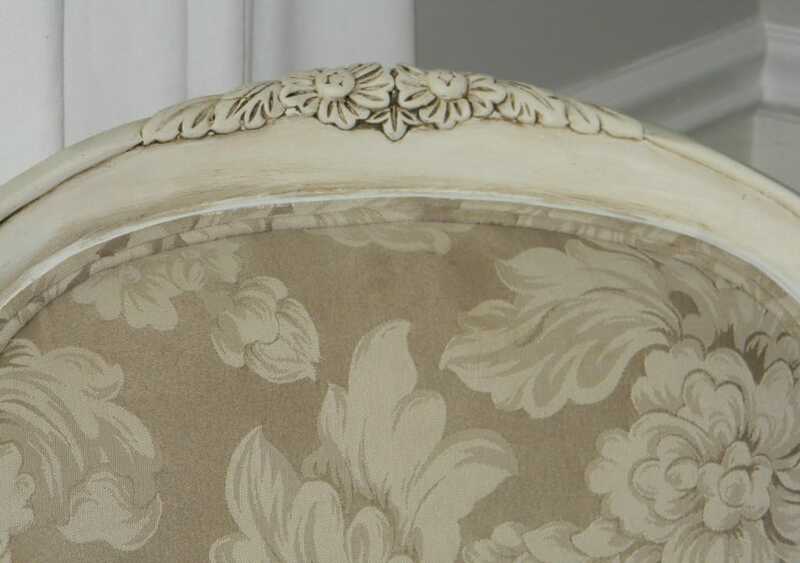 I would love to see a video on how you get the dark wax worked into all those grooves like on the gorgeous chair in this blog – thanks for posting all these great tutorials! Hi Kari – thanks so much! As far as the wax, just really jab it in there and use clear wax to wipe off. Hmmmm, another tutorial idea – cheers! Thanks for the color wash tips, Suzanne! Very helpful. 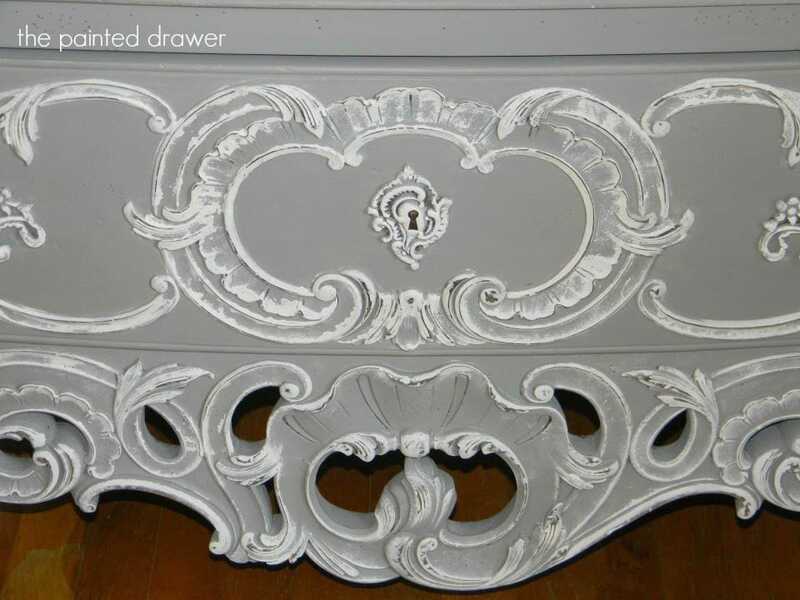 To answer Rita’s question, D.D.’s Cottage just painted a beautiful poster bed — maybe it was that website? Thanks again! OOOOh so excited to go and see. Thanks, Cynthia. Perhaps this is where I aaw it. I’m going to look NOW. woohoo! Hi Krystal, I did not wet the shirt prior to wiping. The paint is still slightly wet so it works without dampening the shirt. Hi I love this wash idea. How would I seal it ? I would like to do this to a kitchen table top. But it would need to be sealed for sure ! Thanks! Hi Angela, I really recommend General Finishes wipe-on urethane top coat. I have it in my SHOP section of the blog (the tab above). It is so easy to apply and gives such a great, durable finish. I have it on my own kitchen table and highly recommend it. Hi Suzanne, in regards to the whitewashed technique on the cabinet, you mentioned keeping the brush wet. Do you mean that you first dip it in plain water before the half and half mix of paint and water before brushing on each time? Thanks! Hi Gigi – yes, I dip my brush into plain water and then the diluted paint. I don’t dip it every time but when needed to keep the brush really wet and to keep the wash really diluted. Here is a link to a video that I did on it: https://youtu.be/EbUqUTBa-XU Best of luck!